Sticking with the topic of Eden Hazard, the Galacticos have perhaps sealed the deal with the Belgian. That is what Don Balon seem to report as they claim that Florentino Perez has closed the deal to sign the former Lille starlet. However, the agreement is between the player and the club for a transfer in June. A deal with Chelsea hasn’t been agreed upon yet. 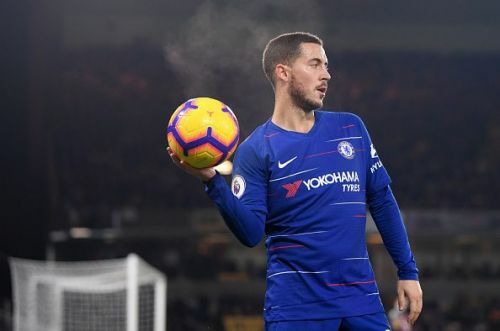 The idea is that in the summer of 2019, Hazard will only have a year left in his contract, which would force Chelsea to bring down his asking price or risk losing him on a free transfer in June. Nevertheless, Chelsea want €170 million for their best player but Madrid it is too much and are willing to give only €100 million for him. They are also looking to use Marco Asensio or Mateo Kovacic in a swap deal to lessen the price.